Maine Gov. Paul LePage has emerged as a key figure in a lawsuit alleging that President Donald Trump is violating the Constitution. LePage’s stay at Trump’s Washington, DC, hotel in early 2017 is under scrutiny. Maine Gov. Paul LePage finds himself as a key figure in an unprecedented lawsuit against President Donald Trump. On Wednesday, a federal judge ruled that a pair of attorneys general have legal standing to sue Trump over claims that he’s violating the Constitution, marking the first time such a lawsuit has cleared that legal hurdle. The suit accuses Trump of violating the foreign and domestic emoluments clause of the Constitution through via his hotel in Washington, DC. The Maine Republican’s stay at Trump’s Washington hotel in early 2017 was cited by the federal judge, US District Judge Peter J. Messitte, in his ruling as an example of how Trump possibly received an emolument, or financial benefit, from another government figure. 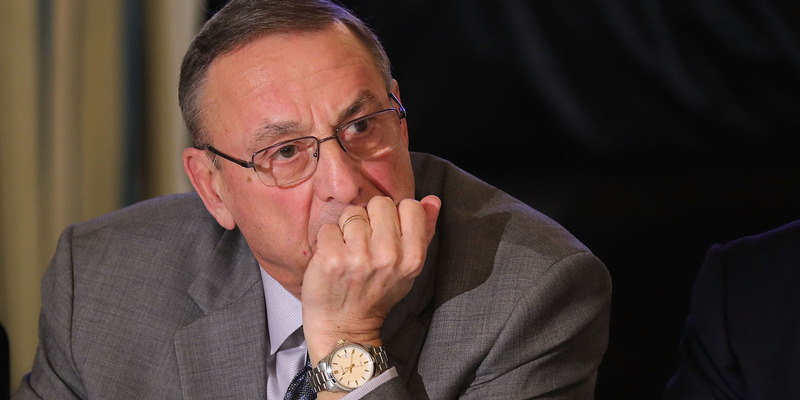 As The Portland Press Herald reported, LePage’s stay cost a considerable amount. The governor’s security team rang up a $US2,250 charge for just their own rooms, the publication reported. LePage’s press secretary, Julie Rabinowitz, told the Press Herald that his February 2017 stay at the hotel was not an effort to influence the president’s decision making. LePage reacted to the news on Wednesday by blasting the federal judge as an “imbecile” during an interview with WGME-TV. The ruling is likely to be appealed. If it stands, Maryland’s attorney general, Brian Frosh, and DC’s attorney general, Karl Racine, may be able to seek Trump Organisation documents related to the hotel. Ethics experts and lawmakers have repeatedly raised concerns about officials’ patronage of Trump’s properties, particularly foreign officials. Trump, who passed along his business to his two adult sons and a top Trump Organisation executive, maintains ties to the business. He did not fully divest himself of it as experts had hoped. Trump has pledged to donate his hotels’ profits from foreign officials to the Treasury. The Trump Organisation last month said it had done so.